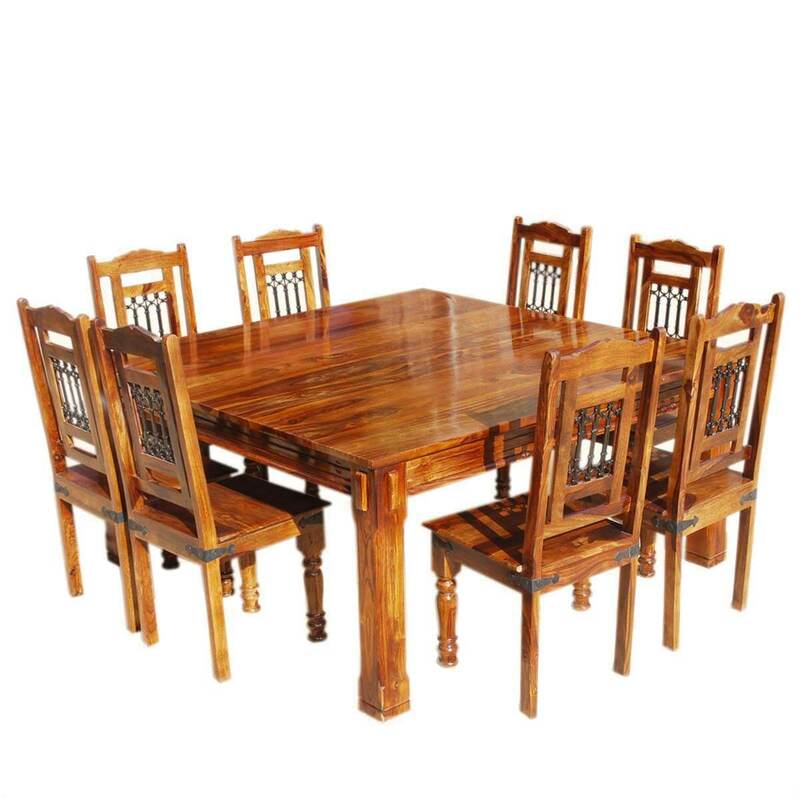 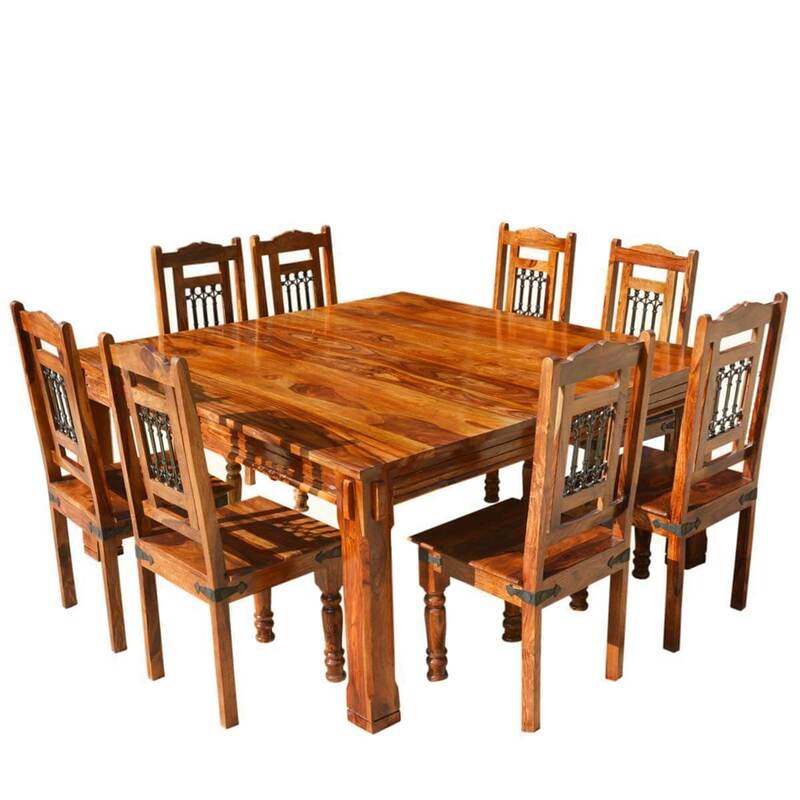 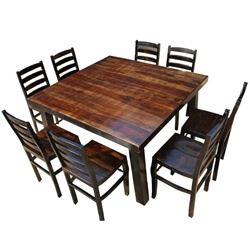 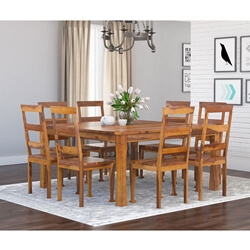 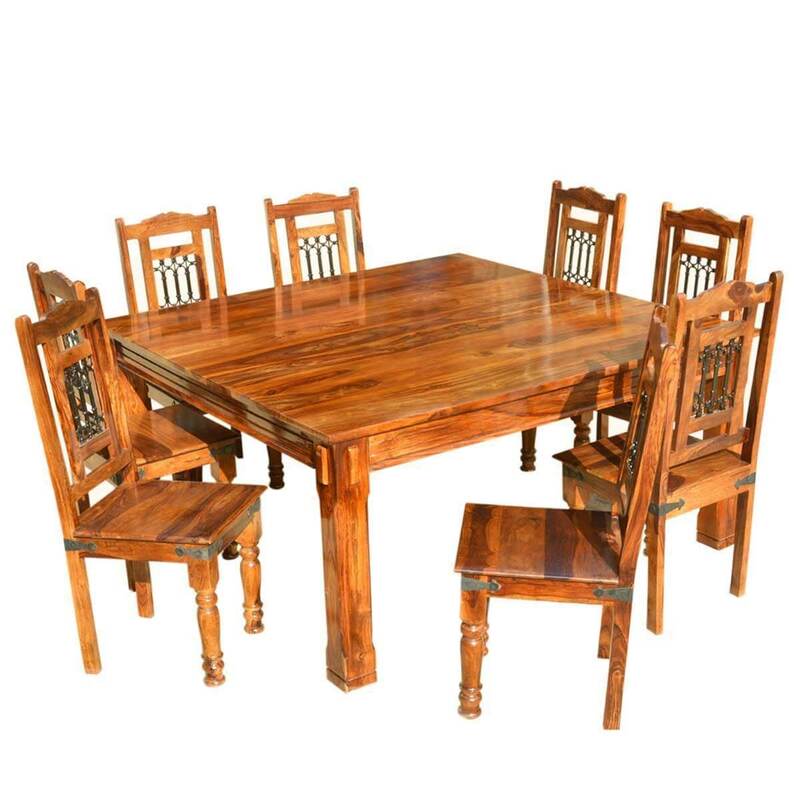 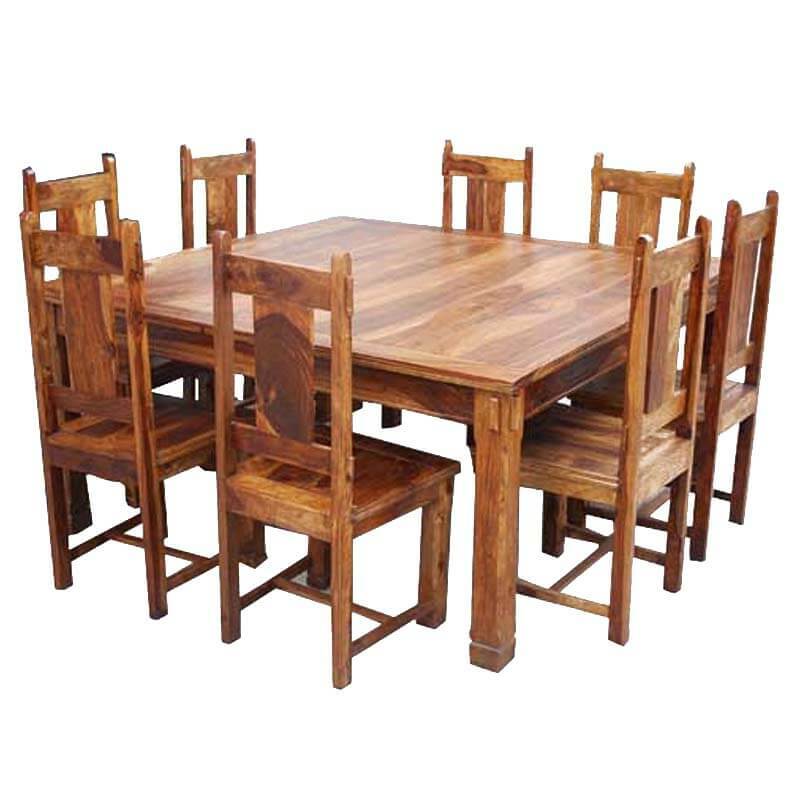 Rustic Solid Wood Square Dining Room Table and Chair Set include a square table that has a wood slat design tabletop and square block legs and eight chairs that have a backrest with Iron Work Accents. 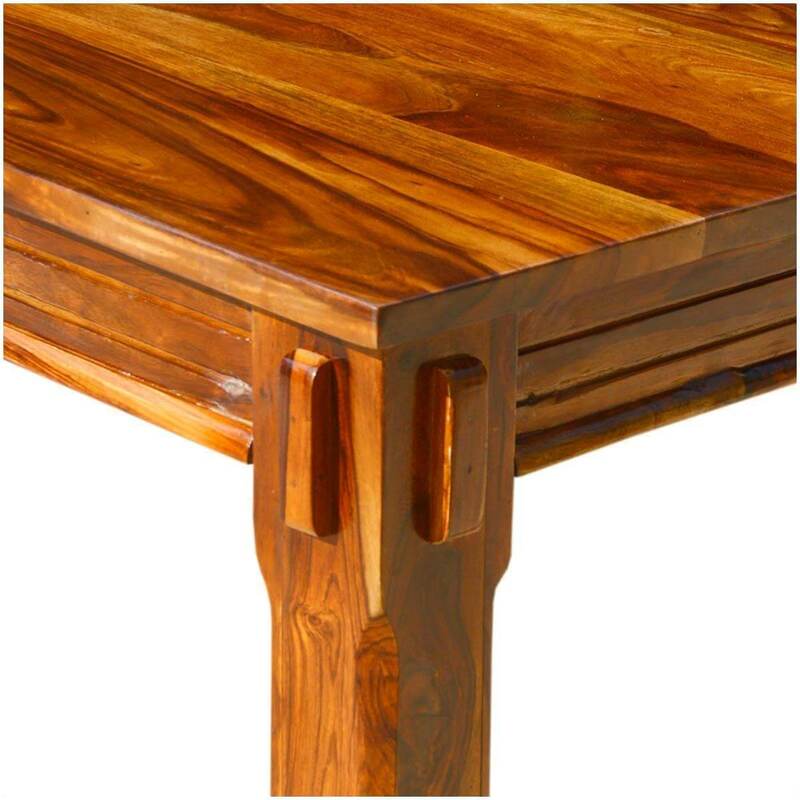 All of our furniture has been properly seasoned and treated for a long lasting stunning wood finish. 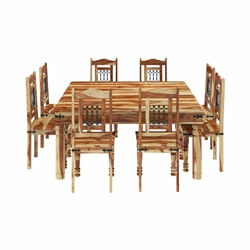 • This set is extremely sturdy with an 1-inch tabletop and thick legs. 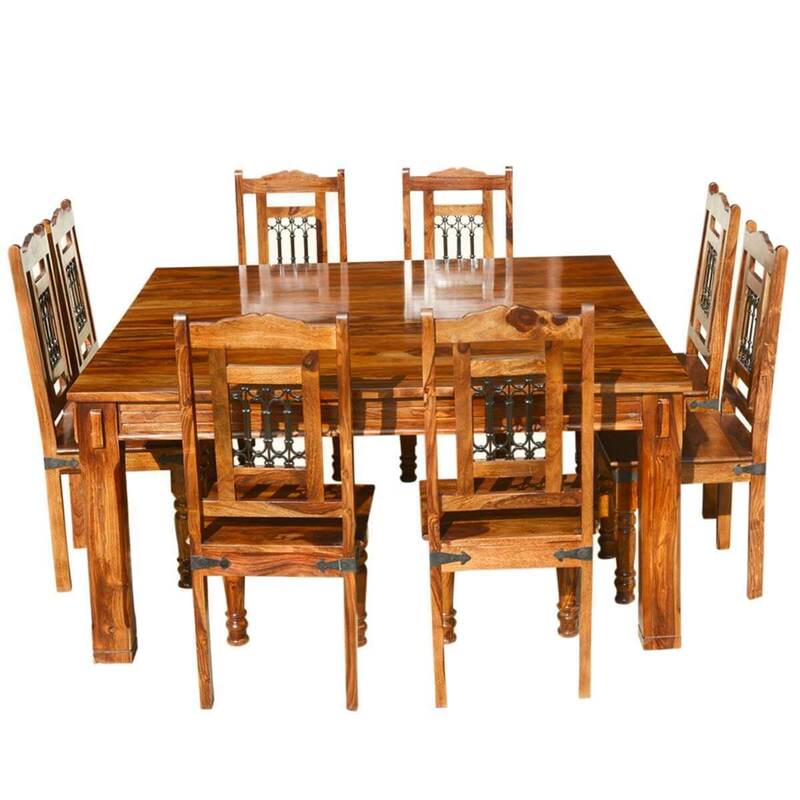 • The wonderful design is perfect for both traditional and contemporary settings.